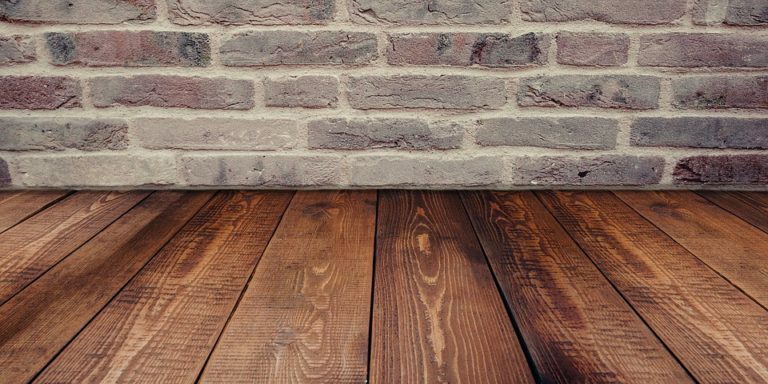 While a sloping or uneven floor may be a sign of foundation failure, it can also be harmless. The only way to really tell for sure is to contact a foundation specialist like Tar Heel Foundation Solutions. We’ll come inspect your home for free and let you know if you need foundation repairs. There are some things to consider when you are dealing with a sloped floor. Some are signs of serious problems, while others may mean nothing. If the walls in the room with the sloping floor are showing cracks, you need to pay attention. Look for diagonal cracks that radiate out from the top corners of the door frame. If the cracks are very small or have been painted over awhile ago, then the foundation is probably stable. A newly painted wall will not be a good indicator. If the walls are tiled, look for cracked tiles. Ceramic tiles are not very forgiving and will crack if the wall is moving under them. The age of a home is another factor to include when evaluating a sloping floor. Settling foundations and structures are expected in older homes, but if your house is relatively new, any noticeable slope is a cause for concern. You don’t necessarily have a foundation problem, but it is definitely a red flag. A professional engineer will be better equipped to figure out the best layout for a floor support system, but a general rule of thumb is to have 2x8s set 16 inches apart or 2x10s set 16 inches apart. The size depends on the span of flooring that has to be supported. 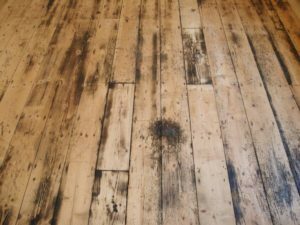 The type of wood used will also matter, so make sure you use a professional when building a floor. What Is The Slope Like? A cheap and easy test for your floor is to go to the four corners and set a tennis ball down. Observe what direction the ball rolls. If it consistently rolls to the center of the room, then you most likely just have a sagging or deflected joist. However, if it rolls to the opposite side, you may have a serious foundation problem. You should never ignore a sloping floor. As stated above, it may be nothing but normal settling, but it could also be a serious warning sign. It is very important that you have an honest and experienced foundation professional take a look at your property. We only employ the best at Tar Heel Foundation Solutions, so contact us today to inspect your sloping floor and your home for foundation damage.